In observance of Veterans Day, we profile five early workers who served in the Civil War and later the Cause of Christian Science. 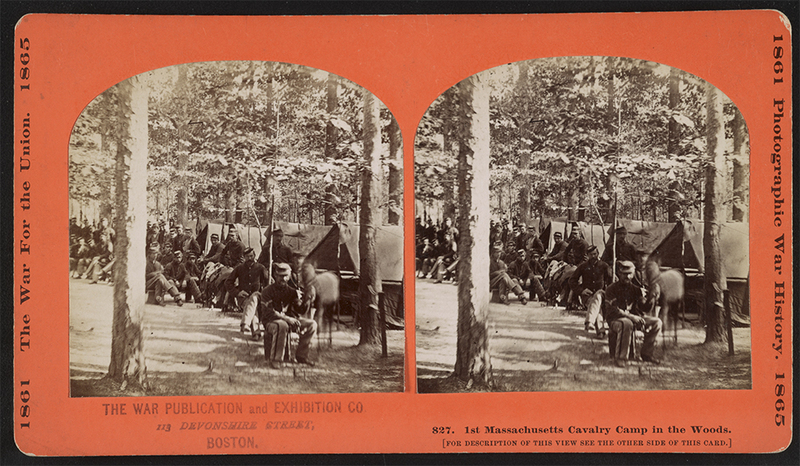 1st Massachusetts Cavalry, Aug 1864, courtesy Library of Congress, Prints and Photographs Division. Of the many who answered her call, there is a particular group that deserves recognition, given the upcoming observance of Veterans Day in the United States. These were individuals who were not only foot soldiers in the Christian Science movement, but also veterans of America’s Civil War. With this background in common, they were found by Mrs. Eddy to be particularly well-suited for service on the front lines of her rapidly growing Church. These Christian Science war veterans are profiled below. Septimus J. Hanna, P0631-1, Longyear Museum collection. 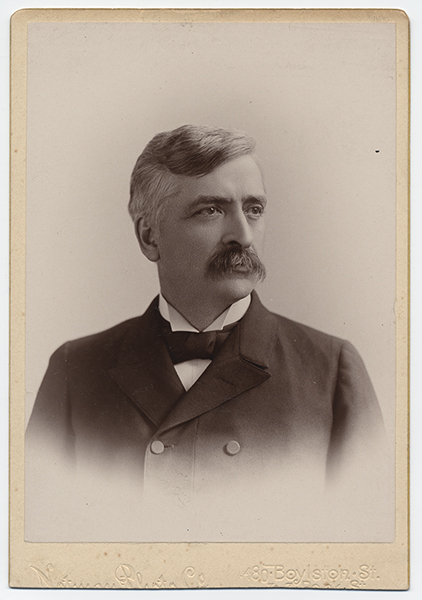 Aside from Mary Baker Eddy, perhaps the speaker most recognizable to the crowd that day was Judge Septimus J. Hanna. Most of the audience had likely attended the Communion service at The Mother Church in Boston the day before, where they would have seen Judge Hanna in his role as First Reader. It was a post he had held for several years and would hold for several more — evidence of the trust that Mrs. Eddy placed in him as a dependable lieutenant. Hanna had some prior experience in this regard. The mission of the 138th was to protect the Trans-Mississippi region from mainly guerilla Confederate forces. Their assignments included garrison duty at Fort Leavenworth in Kansas, and protecting supply and communication lines in the greater St. Louis region. When rebel forces under the command of General Sterling Price threatened to sweep through the area, the 138th volunteered to extend their contract until Price and his soldiers had retreated. With his 100-day contract fulfilled, Hanna mustered out in October 1864. After his discharge, he practiced law in Iowa, then Chicago, then moved to Leadville, Colorado. His position there as Registrar in the U.S. Land Office is likely where the former Union Army captain took on the title of Judge. Ft. Leavenworth, Kansas, 1867, Courtesy Library of Congress, Prints and Photographs Division. In 1886, Hanna’s life and career took on a new direction when his wife, Camilla, was healed by reading Science and Health with Key to the Scriptures by Mary Baker Eddy. He began studying Christian Science, and the next few years show his steady service to the Cause. He took Primary class instruction from J. S. Norvell of Iowa in December 1886 and began corresponding directly with Mrs. Eddy the following year. In 1890, he answered a call to serve as a Christian Science pastor in Scranton, Pennsylvania (this was before the implementation of Readers in Christian Science churches). Two years later, he accepted Mrs. Eddy’s request that he move to Boston and take the helm of the Christian Science periodicals. Hanna served as pastor and then First Reader of The Mother Church from 1894 to 1902. Additionally, he took on numerous other duties over the course of his thirty-year career, from editing the Christian Science periodicals to serving on the Bible Lesson Committee, the Board of Lectureship, and the Board of Education. John F. Linscott, P0935-1, Longyear Museum collection. Mr. Linscott grew up in Massachusetts and as a teenager spent four years working on a whaling ship out of New Bedford.9 As the Civil War was escalating in 1862, he enlisted in Cambridge as a Private in the 1st Massachusetts Cavalry, Company A.10 He was 26 years old. The regiment was assigned to Washington, D.C., to reinforce the Army of the Potomac, which was the main Union fighting force in the eastern theater. 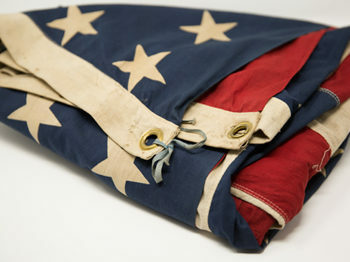 Their list of campaigns throughout the war would be long, including battles at Antietam, Fredericksburg, and Gettysburg. 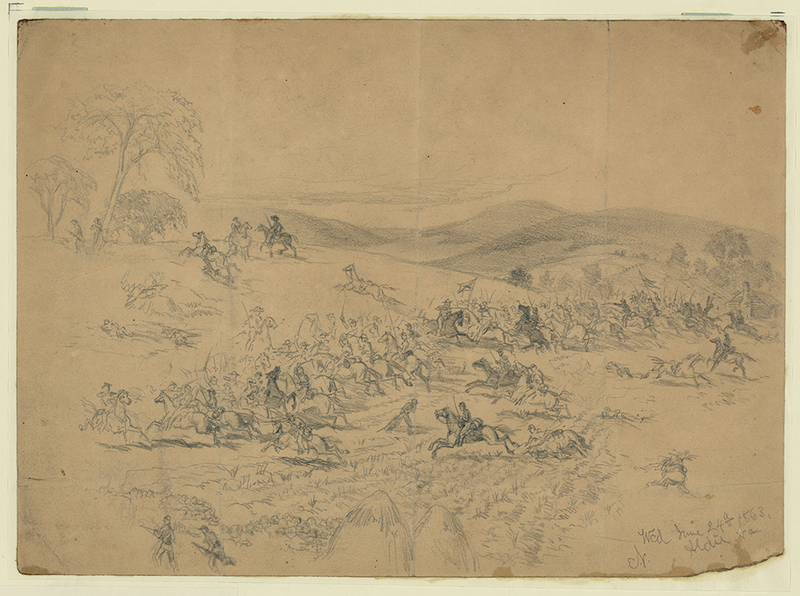 Cavalry fighting near Aldie, VA, June 1863, Courtesy Library of Congress, Print and Photographs Division. It would be another 10 years before Linscott found Christian Science. Meanwhile, he lectured on behalf of the Woman’s Christian Temperance Union, which was led by the prominent social reformer Frances Willard. Then, around 1886, he learned about Christian Science and quickly enlisted in its cause, a banner he would carry for the next 20 years. Erastus N. Bates, P0203-1, Longyear Museum collection. The honor of having the last word at the 1897 Fourth of July event at Pleasant View belonged to General Erastus N. Bates. The venerable white-haired soldier “spoke feelingly of what Christian Science had done for him,”16 explaining how it had restored him physically, mentally, and spiritually after his own harrowing war experiences. General Bates was 34 years old when he enlisted in the Union Army in 1862. He had made a name for himself in law and politics as a delegate to the Minnesota State Convention, and by his election to the state senate in 1857. When war broke out, Bates put his career on hold and was commissioned as a Major in the 80th Illinois Infantry, Companies F and S.
Bates’s war took an unfortunate turn the following year. In April 1863, Colonel Abel Streight led Union forces, including the 80th Illinois, on Streight’s Raid, an offensive campaign through Tennessee and Alabama that targeted Confederate supply lines. There, they were pursued by the infamous Confederate general Nathan Bedford Forrest. On May 3, Forrest tricked Streight into believing he was surrounded by superior numbers. When Streight surrendered, his men were taken as prisoners of war. After recovering, the Major rejoined his regiment in 1865 and was promoted to Lieutenant Colonel, then to Colonel. He took full command of the 80th until the war drew to a close. Two years after the war, Bates received an honorary promotion to Brigadier General by brevet.20 He resumed his involvement in Illinois law and politics, won election to the Illinois state legislature in 1867, then served two terms as state treasurer through 1874. 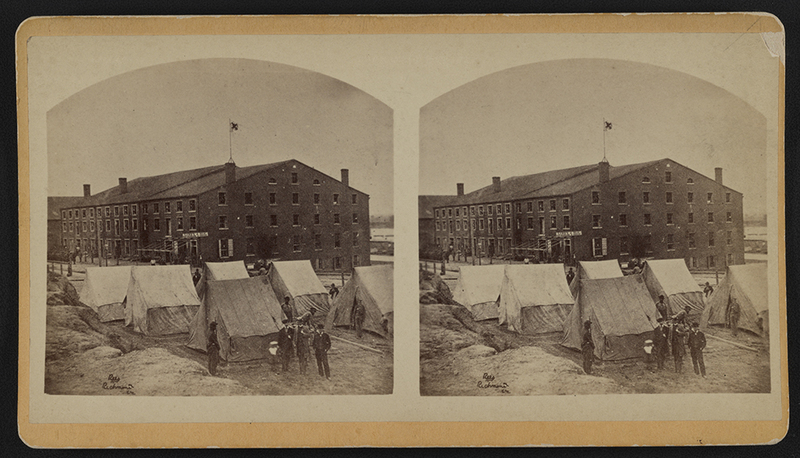 Libby Prison, August 1863, Courtesy Library of Congress, Prints and Photographs Division. 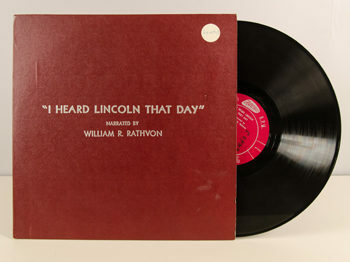 William B. Johnson, P0731-1, Longyear Museum collection. William B. Johnson was not a featured speaker at the Fourth of July event, but still an honored guest on the front porch. Like the old war horses General Bates and Captain Linscott, Mr. Johnson surely had some stories he could tell as his regiment saw much action in the Civil War. And as was the case with his other colleagues that day, it was in Christian Science that he had found a new cause to serve. Johnson was born in England but grew up in South Boston, becoming a naturalized citizen in 1860. 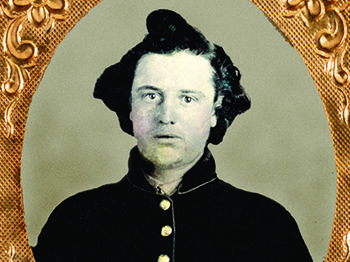 When the Civil War broke out in April 1861, he enlisted a month later as a Private. The 22-year-old joined the 1st Massachusetts Infantry, Company E, known as the Pulaski Guards.25 Upon completing training, they were immediately sent south to fight at Bull Run, one of the first big battles of the war. 1st Massachusetts Infantry in camp on the Potomac, October 1861, Courtesy Library of Congress, Prints and Photographs Division. However, as the Christian Science movement grew, so did Johnson’s practice and his position within the Church. In 1888, he was appointed to the Board of Directors as Clerk. When the Church was reorganized in 1892, he was reappointed to these positions, which he held until 1909. In addition, he served on a number of different committees. In 1909, he focused full-time on his Christian Science practice. Words of wisdom indeed from a battle-tested veteran, one who started in the lowest of ranks and rose to the highest. His nearly 30-year-career is the definition of selfless service. Lanson P. Norcross, P1096-1, Longyear Museum collection. One final Christian Science veteran who bears mentioning is Reverend Lanson P. Norcross. His life represents one lived in service to a higher mission, beginning with his four-year enlistment in the Union Army. Mr. Norcross and his two younger brothers, Pliny and Frederick, joined the 13th Wisconsin Infantry in October 1861.29 They were part of Company K, of which Pliny was captain. The 13th operated in the Trans-Mississippi region, the same area in which Judge Hanna’s 138th would be active near the end of the war. In December 1862, elements of the 13th would pursue Confederate General Forrest’s men through Tennessee, several months before Forrest would capture General Bates. Although the 13th saw action but a few times, they suffered numerous casualties due to disease, which was a widespread problem. Sadly, the Norcross brothers faced this when, in May 1865, Frederick passed away while stationed in Nashville. Coming so close to the end of the war, this must have been particularly hard for Lanson and Pliny. After four years of service, Lanson mustered out in August 1865. He enrolled in Chicago Theological Seminary School and was ordained in 1870. The next decade was spent ministering all over the frontier. An interesting historical coincidence occurred in 1872 when he attended the General Congregational Association of Illinois. 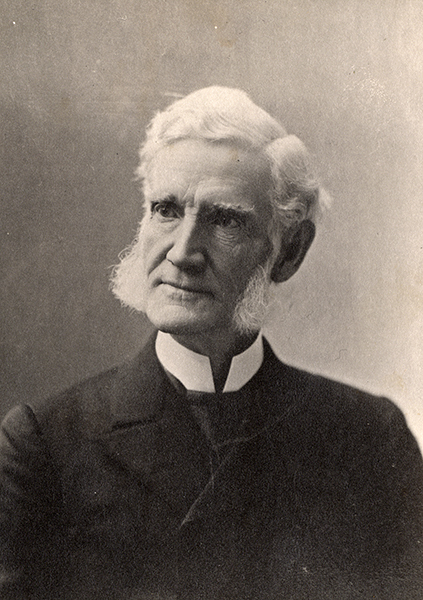 The convention moderator was none other than future Christian Scientist General Erastus Bates! 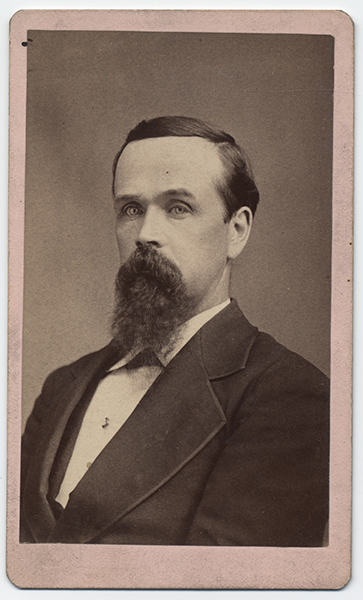 Norcross spent time in Wisconsin, Illinois, and Colorado, before being sent in 1876 to Deadwood, Dakota, where he organized the first Congregational society in the Black Hills. When he moved on in 1878, he just missed overlapping with Mrs. Eddy’s son, George, who was a veteran of the 8th Wisconsin Infantry. In 1879, George moved to Deadwood, then settled in nearby Lead.30 Norcross, however, had moved on to Nebraska by this time, before finally returning around 1883 to Wisconsin where he had started ten years before. 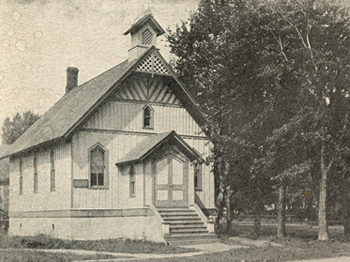 Around 1886, Norcross became involved in Christian Science.31 In the fall of 1888, he put his years of ministry experience to use when he became pastor of the Christian Science church in Oconto, Wisconsin — the first Christian Science church to have its own building for worship. That same September, Norcross also took Primary class instruction from Mrs. Eddy. 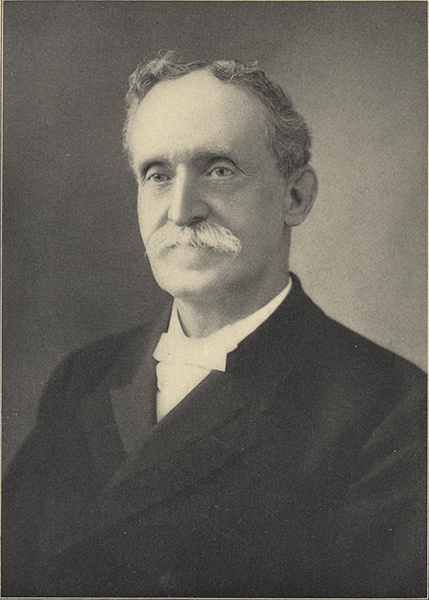 Norcross moved to Boston and began preaching. He assumed other responsibilities as well, including serving on the Bible Lesson Committee and helping to prepare the landmark 50th edition of Science and Health. In 1893, Norcross resigned from the pulpit but continued to serve by returning to the field work he’d done for so long, this time in Colorado. There, he and fellow veteran Captain Linscott did much to establish the Cause of Christian Science. Norcross passed away in 1896, but if he had been at the Fourth of July event in 1897, he surely would have been one of the distinguished guests. An indication of Mrs. Eddy’s high regard for him is evident in the fact that just a few months earlier, she had referred to him as one of her best students gone too soon.35 A soldier, a pioneer, and a preacher — the Reverend’s life was one lived in service to a higher calling. Mary Baker Eddy, Miscellaneous Writings: 1883-1896, 99. The general was Joab Nelson Patterson and the Lincoln descendant was Mary Isham. See “For Our Dear Cause,” Longyear Report to Members (Spring/Summer 2013), link. Company H roster, Illinois in the Civil War, the Illinois GenWeb Project, link. Also, Thomas Mears Eddy, The Patriotism of Illinois (Chicago: Clarke & Co., 1866), 445, link. Robert Peel, Mary Baker Eddy: Years of Authority (New York: Holt, Rinehart and Winston, 1977), 39-40. “Our Fourth of July,” The Christian Science Journal 15 (Aug 1897). John F. Linscott obituary, The Evening Independent, Nov. 12, 1931, link. Crowninshield, Benjamin W., and D. H. L. Gleason, A History of the First Regiment of Massachusetts Cavalry Volunteers (Boston: Houghton, Mifflin, and Company, 1891), 340, link. “John F. Linscott, Civil War Soldier,” Chicopee Archives Online, accessed October 24, 2016, link. This unique handwritten account details his fall and his episode at Aldie. Crowninshield, A History of the First Regiment of Massachusetts Cavalry Volunteers, 340, link. This source indicates he received a promotion to Sergeant/Corporal. No records verifying his promotion to Captain could be located. “The Lectures,” Christian Science Sentinel 11 (Nov 16, 1899): 168, link. Whereabouts gathered from following articles in The Christian Science Journal: “News from Abroad,” 6 (Mar 1889): 640, link; “News from Abroad,” 7 (Oct 1889): 367, link; “Notes from the Field,” 10 (May 1892): 77, link; “Christian Science at the World’s Religious Congress,” 11 (Nov 1893): 342, link. “Our Fourth of July,” The Christian Science Journal. Mrs. Eddy’s second husband, Daniel Patterson, was a prisoner at Libby in 1862, but managed to escape and was back home by later that year. Erastus Bates to wife, Feb 14, 1864, Box 1, Folder 10, Erastus Newton Bates papers, MS 6, Hargrett Rare Book and Manuscript Library, University of Georgia Libraries, link. Erastus Bates Biographical File, Longyear Museum collection, Longyear Museum, Chestnut Hill, Massachusetts. For researchers, this document was found to have several historical inaccuracies. For instance, he was captured on May 3 not 30, and he was most likely not in solitary confinement 30 days but just a few days. “Commissions,” Box 2, Folder 2, Erastus Newton Bates papers, University of Georgia Libraries, link. A rank awarded by brevet was common in the Civil War and included an honorary title without the command of real rank. Erastus Bates to George A. Bates, Dec 10, 1886, Box 1, Folder 15, Erastus Newton Bates papers, University of Georgia Libraries, link. Mary Baker Eddy to Margaret S. Howlett et al., Oct 1905, in the Erastus Bates Biographical File, Longyear Museum. Massachusetts Soldiers, Sailors, and Marines in the Civil War (Norwood, MA: Norwood Press, 1931), 31, link. The Pulaski Guards were most likely named in honor of Casimir Pulaski, a Revolutionary War hero originally from Poland. William Lyman Johnson, History of the Christian Science Movement, Vol. I (Boston: Geo. H. Ellis, 1926), 2-3. 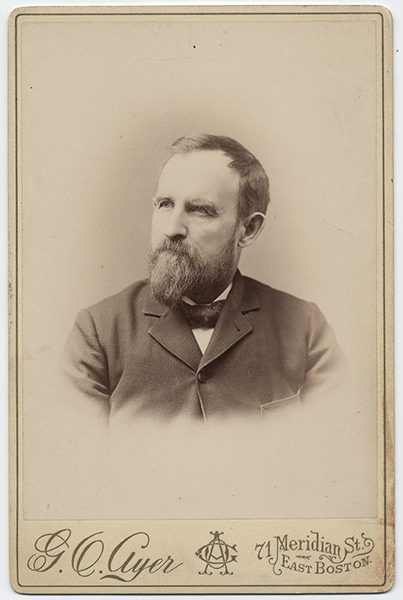 Nelson J. Molway, “Reminiscence of Nelson J. Molway,” 5, The Mary Baker Eddy Collection, The Mary Baker Eddy Library, Boston, Massachusetts (hereafter referenced as MBEL). Roster of Wisconsin Volunteers, War of the Rebellion, 1861-1865, Vol. I (Madison, WI: Democrat Printing Company, 1886), 768, link. Jewel Spangler Smaus, “’Family:’ From New England to the Black Hills,” Part 5, Longyear Quarterly News (Winter 1983), link. L. P. Norcross, “Leaves from a pastor’s note-book,” Christian Science Series 1, no. 14 (Nov 15, 1889), republished in Christian Science Sentinel, web original (Sept 1, 2013), link. 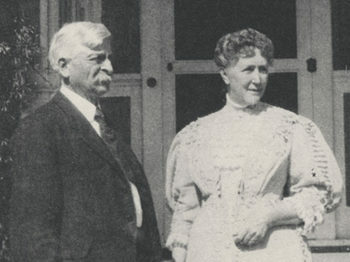 Joseph G. Mann, “Reminiscences of Mary Baker Eddy,” 2, MBEL; Ira Packard includes an anecdote in his 1913 Sentinel article “Justification” (link), in which he describes an exchange with Mrs. Eddy on the case of a Civil War veteran—which may have been Packard himself. It differs in substance from Mann’s anecdote, but plausibly could be about the same teacher-student exchange. William B. Johnson to Lanson P. Norcross, Aug 21, 1889, ECR13.01, MBEL. Lanson P. Norcross to William B. Johnson, Aug 25, 1889, ECR13.01, MBEL. Mary Baker Eddy to Edward A. Kimball, April 1897, L07402, MBEL. There is a chance this letter may be misdated, as Gen. Bates is also listed, but he did not pass away until 1898. Mary Baker Eddy, The First Church of Christ, Scientist, and Miscellany, 277.